Originally designed for the Kentish cherry pickers, Kibseys can be used for any type of fruit harvest. also has belt holes for hands-free holding. 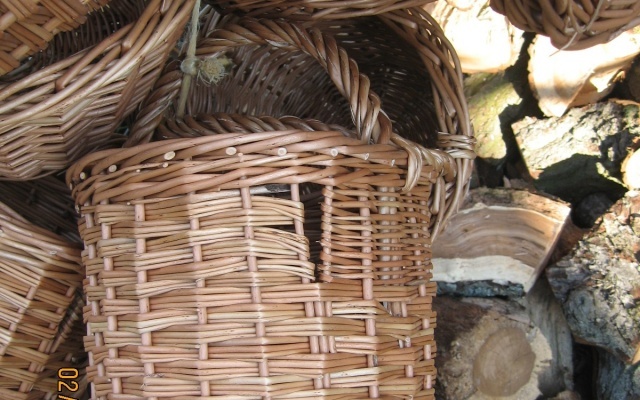 The willow we use in our baskets and on our basketry courses has either been grown organically here on site at Bore Place, or has been brought up from the withy beds in Somerset and Devon. None of it has been imported from abroad. 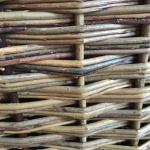 We make baskets to order – we hold very little in stock (although it’s always worth asking!). The nature of the materials and the weaving process means that the finished product can differ from the requested dimensions by as much as +/- 2cm, although clearly we do our best to match as precisely as possible. 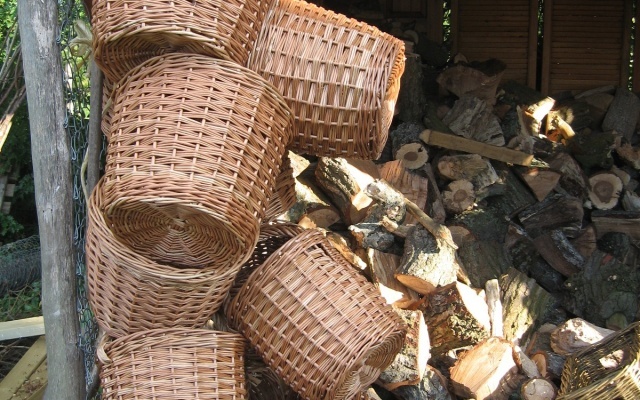 Consequently, when ordering a basket, we will need to know the maximum EXTERNAL dimensions, or, where appropriate, the size of the space that it needs to fit into. Brown willow – still has the bark on (this has the most “rustic” appearance). We grow different willows for different bark colours. 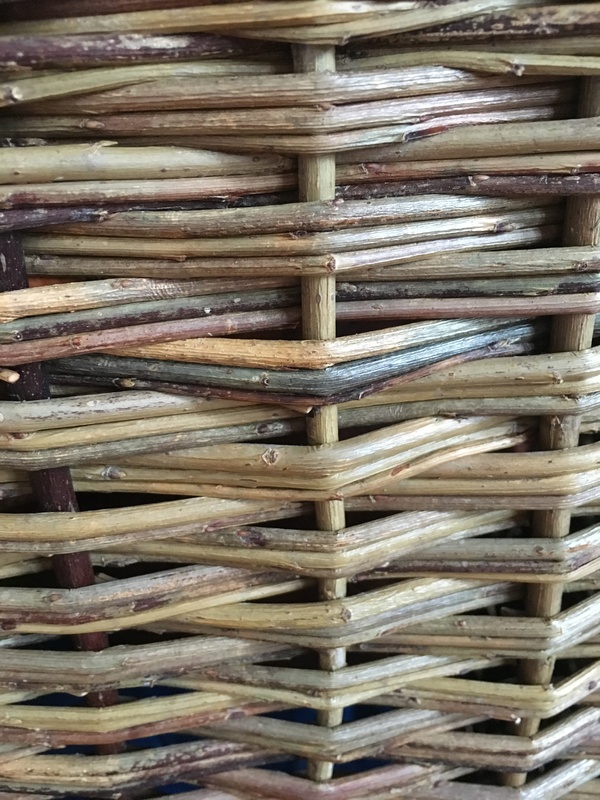 Although the willow with bark on is generically called brown, we grow Flanders Red (a dark orange/red), Dark Dicks (slate grey/blue) and Black Maul (mottled green and black). 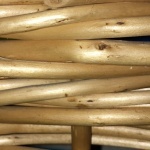 White willow – has had the bark stripped off without boiling. The white will fade after time. Dogwood – bright red, seasonal availability, colours may change over time. 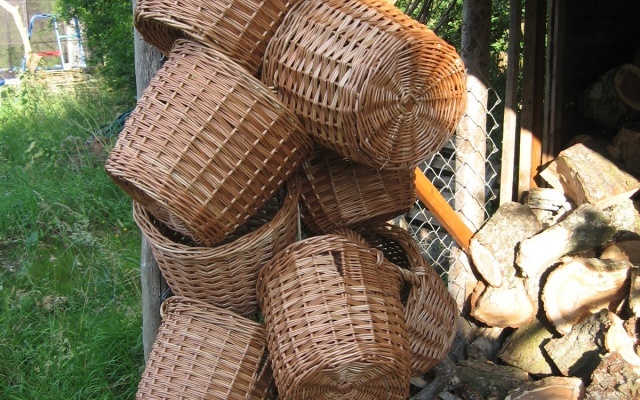 Finally, if you would like your baskets to have handles, we need to know whether you would like “D” handles, or “hole” handles. Smaller baskets (for example shoppers and cherry pickers) have “loopy” handles.